Cameron Bairstow – Forward – New Mexico. Not only is Bairstow perhaps the most improved player in the country – his per-game totals are up drastically in nearly every category – but the 6’9’’ Aussie has become one of the absolute best forwards in the country as well, O26 or otherwise. 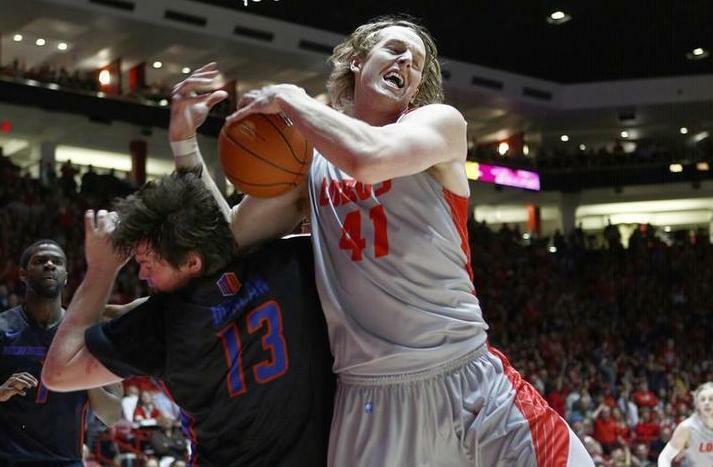 After turning heads at the World University Games in Russia last summer and leading his native Australia to a silver medal, Bairstow returned to Albuquerque and proceeded to shred Mountain West opponents under the basket this season. He averaged 20.3 points and 7.2 rebounds per game, including seven double-doubles and eight games in which he shot better than 66 percent from the floor. What’s been more impressive, though, is the consistency of his production. Bairstow scored 20 points or more in 11 of the Lobos’ 18 conference games, was never held to fewer than 14, shot 58 percent – impressive, considering he does shoot jumpers – and was the go-to player in key moments for a team that nearly won the Mountain West. Finally, his 118.5 offensive rating was good for seventh in the entire country among players who use at least 28 percent of their teams’ possessions. That means much of the offense runs through Bairstow, and he makes the most of it. New Mexico is among the top O26 squads in the country, a team with an excellent chance to reach the NCAA Tournament’s second weekend. That ceiling would not be nearly as high without the Australian big man. Keifer Sykes – Guard – Green Bay. Sykes emerged as one of the best point guards in America, featuring an explosive offensive game, true point guard instincts and a knack for winning. Averaged 20.4 points, 5.0 assists and 4.4 rebounds in the regular season. Combined for 79 points against top-tier opponents Wisconsin, Harvard and Virginia. Tyler Haws – Guard/Forward – BYU. A scoring machine who went for 23.4 point per night this year, including seven games of 30 points or more and a 48-point performance against Portland in January. Cleanthony Early – Forward – Wichita State. The best player on the O26 world’s best team, Early led the Shockers in points and rebounds this season. He is the dynamic, NBA-talent that everyone deems as the necessary component of a true National Championship contender. Javon McCrea – Forward – Buffalo. McCrea was beastly on both ends of the floor for the MAC East champions, averaging 18.9 points, 9.8 rebounds, 2.1 assists, 2.2 blocks, 1.6 steals and logging 15 double-doubles. Gregg Marshall – Wichita State. Back in January, Marshall was quoted as saying: “We talk about winning every game. We talk about winning every game before playing that game — not in the grand sum of the season.” That mindset perfectly encapsulates Marshall’s blinders approach and superb ability as a motivator: he believes his team will win every game, but he won’t allow it to look beyond the game directly in front of it. The results, of course, have been staggering. 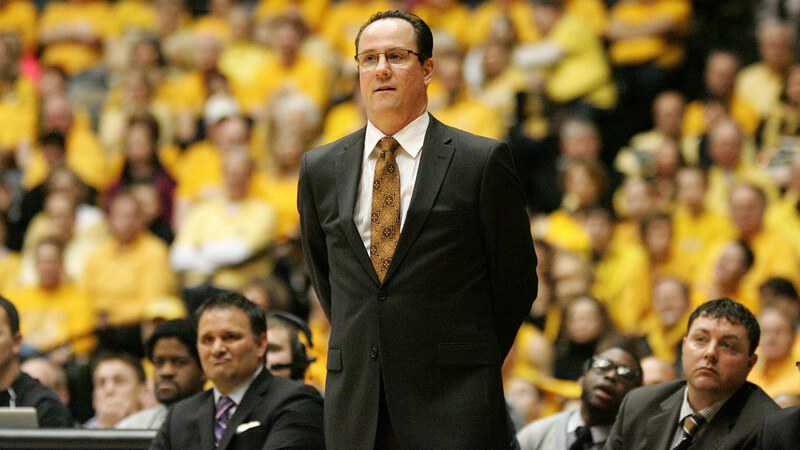 A year after leading the Shockers to an improbable Final Four run, the confident head coach – now in his seventh year at the helm – has constructed arguably the toughest, most resilient roster in the nation. Point guard Fred Van Fleet was a role player last year. This year? One of the best in the land at his position. Transfer big men Kadeem Coleby and Darius Carter were unknowns entering the season. Now? Indispensable interior stalwarts. Altogether, these guys make up a unit seemingly impervious to runs by their opponents (see: MVC Championship game, second half) and deadly when they smell blood. 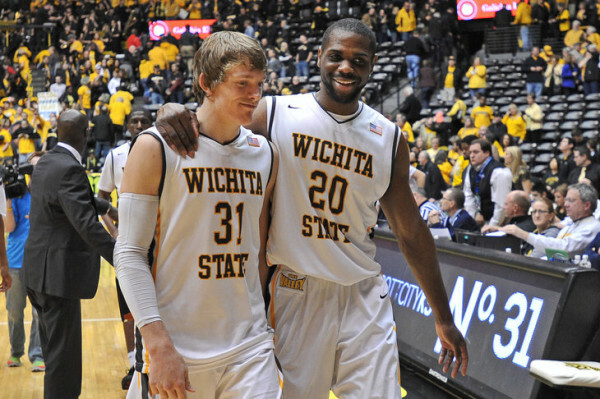 When Wichita State takes a punch, it responds by delivering a devastating blow. Marshall has done a supreme job across the board this season – preparation, focus, motivation, personnel decisions, in-game adjustments etc. – and deserves enormous credit as a result. Much like his team’s record, Marshall’s 2013-2014 coaching job was pretty much flawless. 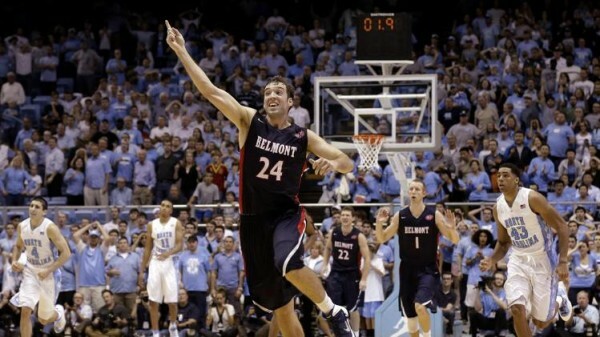 Belmont over North Carolina, 83-80. You know why this is the upset of the year? Because North Carolina is big and fast and athletic and did turn out to be the top-15 team it was thought to be. And it happened in the Dean Dome. And Belmont, for all their recent mid-major success, has far less size and far less physical ability than the Tar Heels, yet still managed pull off the improbable in nearly impossible fashion. Trailing by six with just over one minute to play, the Bruins looked toast. Their nine percent win probability entering the night had dwindled to less than one percent, and their limited length and athleticism meant forcing turnovers would be a difficult task. Still, Belmont did have one weapon in its arsenal – eventual OVC Player of the Year J.J. Mann – and that weapon deployed brilliantly. Mann hit a three to cut the lead to three. Then a pair of Tar Heel free throws. Then another Mann three. Then, a Marcus Paige turnover the Bruins so desperately needed. Finally, with 20 seconds to play, down two, the clutch moment: Reece Chamberlain raced down the floor with Mann trailing on the opposite side, stopped at the top of the key, used his body to screen off two defenders, and flipped the ball back to Mann, who promptly canned his third triple (in less than 60 seconds) to win the game. Roy Williams said afterwards, “I did a poor job coaching; it’s on me.” It wasn’t really on Ol’ Roy, though. It was more about Mann, Rick Byrd and the Bruins than it was about Williams and his talented club. Small school beat blue-blood, no qualifiers needed. Honorable Mentions: Green Bay over Virginia (75-72); North Carolina Central over North Carolina State (82-72); Northern Colorado over Kansas State (60-58). This entry was posted on Friday, March 14th, 2014 at 2:47 pm by Tommy Lemoine	and is filed under microsites, other 26. Tagged: belmont, billy baron, cameron bairstow, cleanthony early, feature, fred van fleet, gregg marshall, Javon McCrea, Keifer Sykes, north carolina, tyler haws, wichita state. You can follow any responses to this entry through the RSS 2.0 feed. You can leave a response, or trackback from your own site.